Residents and staff at Compton House Christian Nursing Home are over the moon after being recognised as one of the best in the country. The home, in Compton Road, has been given an ‘Outstanding’ rating by the Care Quality Commission – putting it among the top 2% in the country. 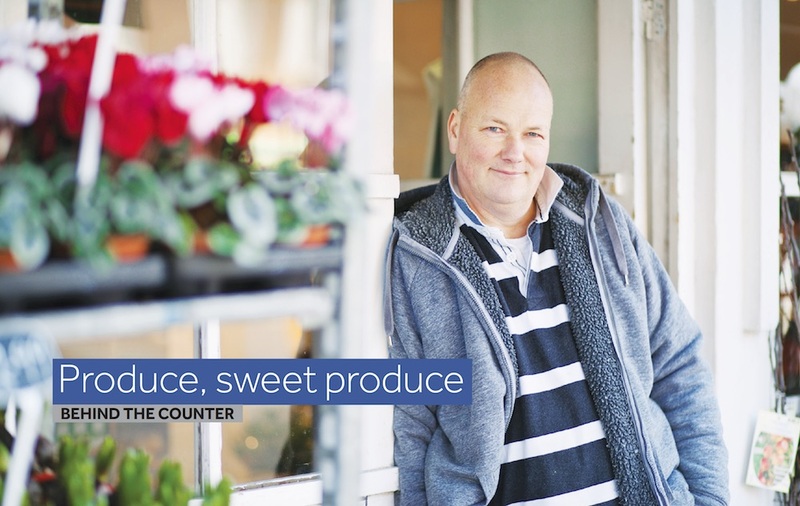 All care homes are inspected every two years and inspectors follow a strict criteria. Inspectors commented that residents had an ‘exceptional quality of life’ and that ‘staff went the extra mile to ensure that people’s needs, wishes and aspirations were at the forefront of everything they did’. When Lindfield grandmother Carol Rieley asked councillors for a new bench on the Common she didn’t expect her request to be granted several times over! But to Carol’s delight, visitors to the Common now have a great choice of places to sit and relax. Carole explained how she met with Will Blunden and some of the parish and district councillors last April. 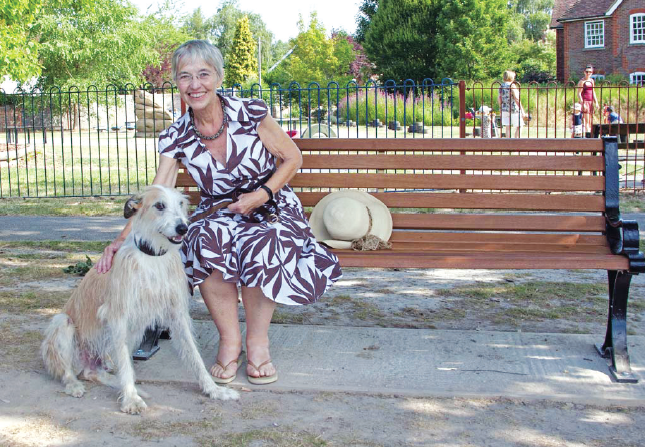 “I asked whether it was possible to have a bench outside the children’s playground as, although there were seats within the play area, there were none outside for Grannies like me to sit with the dog and rest up whilst the youngsters had fun on the swings,” she said. “Last month, there was not just the one I had suggested but all the extra seats all the way along the boundary of the Common! Andrew Funnell, Clerk at Lindfield Parish Council, commented: “We welcome the additional benches installed by Mid Sussex District Council on Lindfield Common. The benches were installed following dialogue between representatives of both councils. The newly installed benches benefit from hardstandings and have a higher seat allowing for easier access. The Parish Council understands that S106 funds (contributions from housing developers) were utilised to help fund the project. It is bigger and better than ever! The 9th Lindfield Arts Festival showcases both new and upcoming local performing and fine artists whilst encouraging the community to celebrate the unique spirit of Mid Sussex’s culture. On Saturday 22nd September there will be fresh food stalls and plenty of seating in the High Street to watch, listen and meet friends and family whilst enjoying performances by local musicians, dance and drama students and a wealth of entertainment all day long. Amongst the full programme of events there will be an amazing Art Trail, including open studios and an exhibition at Lindfield Primary Academy, a craft show and an extraordinary cake display - being filmed by Channel 4 for their Extreme Cake Makers programme. Come and watch live art on cellograff in the High Street, some meaningful drama productions addressing memory and culinary delights respectively as well as a unique display of magnificent interactive structures on the Common for families to explore. The vibrant pink Literary Tent will host a programme for young and old – come and meet and listen to the published authors and be inspired to start writing. There will be a Strictly Lindfield Tea Dance, with Ballroom and Latin workshops to give you confidence. The two ‘must go to’ performances at the King Edward Hall on Friday and Saturday evenings are: Rockaoke (you can sing and dance along) and FoxiVox! which will lift your spirits as you relax and enjoy their jazz interpretations. Visit the Lindfield Arts Festival information point on the High Street for last minute festival details and to collect your Scarecrow Trail marking sheet; you will also be able to buy raffle tickets and enter the Porsche spectacular silent auction. A walking tour of the village will allow you to check out the different art studios, events on the Common and the activities in the King Edward Hall and Tamasha courtyard. Returning to the High Street you can enjoy the buzz of the live performances on the main stage, the classic cars and the brilliant community orchard display by most of Lindfield’s local associations and clubs in the United Reformed Church. There are many workshops for you and your family to join, many of which are free of charge. Places may be limited, so advance booking is recommended. The Oathall Community College farm team leaders recently attended the ‘School Farms Network Education Alliance Awards’ alongside Head of Farm, John Blackholly. The team is thrilled to report that the Oathall School Farm collected the national winners prize for Innovation and Enterprise. Judges were full of praise about how the farm has developed creative ways to generate income, helping to sustain the wonderful and unique resource. Judges were greatly impressed with how the farm is run as a commercial business but at the same time has education at its heart. Seven student farm leaders were also nominated in another category and we are equally delighted to report they received the national runners up award for Student Leadership. A tremendous achievement and one in which we are justifiably very proud, said Mr Blackholly. The School Farm Awards 2018 are designed to celebrate and recognise the achievements of school farms, their schools and students from across the country. For 2018 there were seven award categories and out of an impressive field of submissions, 17 schools were shortlisted and invited to the ceremony to find out if they had won one of the coveted winners’ plaques. The judges enjoyed reading such a wide variety of submissions and finding out more about each unique School Farm: from school farms which use their sites to enable young people to develop their interpersonal, communication and sensory learning, to school farms which run extensive commercial activity, schools which run Open Days for the local community and finding new and innovative ways to work together. On the scorching Bank Holiday Monday at the beginning of May, residents of Shenstone gathered to hold a street party celebration of the building of their houses, back in 1968. Previously on the site had been a large Edwardian house called Cotmaton, built for one of the local Leslie family, around 1902. This was demolished to make way for the cul de sac of 13 houses, with a further three being added in the 1980s and 90s. The youngest attendee resident was three year old Katie Kremer, who along with her family, are also the newest to join this happy group of LIndfield residents. As the day was so hot many parasols and tents had to be put up in addition to the bunting! Barbecues were rolled out and with a table laden with salads and cakes, beers and soft drinks, the residents set about having lots of fun in the sun. Definitely in for the long haul, this 11-strong Tour de Wight cycle team, organised by Phil Hale of Lindfield’s All Saints Church, rode around the Isle of Wight on 30th June to raise money for the Romanian charity, Caminul Felix, which the church has been supporting for well over a decade. Sporting their distinctive but self-funded strip, designed by professional animator and TdW rider, Olly Brown, the team covered the 67 miles with over 4,700ft of climbing on what was one of the hottest days of the year. They were accompanied by a support team in liveried vehicle driven by Alastair McDermid, to boost the charity’s profile and attract vital funding to build another home for the family ‘village’ near Oradea in western Romania. Another team from Lindfield will be travelling there in September to build with materials entirely funded from efforts such as this. Thank you for sending in your specific questions on recycling. Here are two you have asked about that I have picked out. Keep them coming …. YES to Pringle Tubes and lids. These can be recycled. Separate the plastic top from the cardboard tube. Do not worry about the metal base as our clever machinery can separate these. 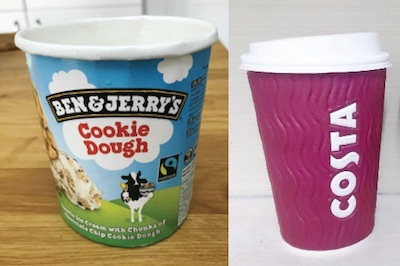 What about Ben & Jerry’s pots and coffee cups? We are fortunate in West Sussex to have state of the art machinery that CAN recycle ALL of these, and the plastic lids. YES we can recycle coffee cups in your blue top recycling bin. We can recycle everything – except the coffee! The lids are big enough not to contaminate the glass. (see last month). Would you like me to give a talk to your local group on recycling? There is no charge for this service. Would you be interested in collecting items that can be recycled to raise funds for your favourite charity? I will be happy to guide you through this process. Look forward to hearing from you. Lindfield’s annual Village Day is being held on Saturday 2nd June. The day, which is a fundraiser for King Edward Hall, starts with a procession down the High Street (when the road will be closed to traffic between 12.15-1.30pm) which then enters the arena on the Common. The afternoon’s activities are formally started when the local blacksmith undertake the ‘Firing of the Anvil’ at 1.45pm. As well as some fun family games taking place in the arena, there will also be a fitting tribute to those fallen in WWI, carried out by members of Lindfield Bonfire Society. With over 100 stalls on the Common, it is always a great place to bag a bargain - and a beer if you fancy it! As part of our National Book Week celebrations, we welcomed award winning author of the Beetle Boy Trilogy, M.G. Leonard, to Lindfield Primary Academy on 1st May. Maya led an energetic assembly in which she filled the children’s imaginations with all things beetles! The children were awestruck by her passion and knowledge and enjoyed finding out about her journey to becoming a writer. 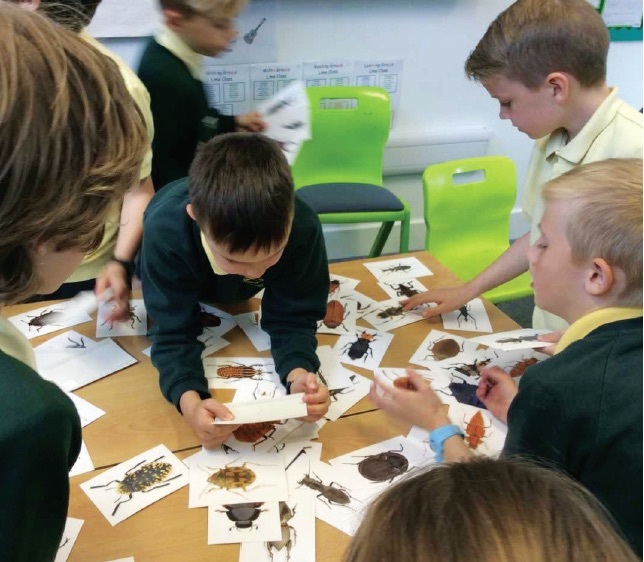 Year 4 pupils became beetle experts and enjoyed creative writing workshops through which they planned stories based on their chosen beetle heroes. Most enjoyable was discovering the gruesome truths about beetle survival! Maya proved an inspiration to the staff too, delivering a presentation about the importance of immersing children in the natural world and harnessing stories in all their forms from dance, theatre, screenplays and books. Many thanks go to our wonderful, supportive PTA for funding such a fabulous day! Across the country, Parent Teacher Associations (PTAs) are hosting quiz nights, fairs and coffee mornings to raise money for schools. At Oathall Community College they have decided to try something different for their next fundraising project. Oathall Community College has secured funding from West Sussex County Council to completely refurbish the Science and Mathematics block. It will see the dated 1970s building replaced with a modern, purpose-built resource housing eight maths classrooms and eight science labs including prep rooms and an IT suite. Items to be purchased include digital microscopes, interactive anatomical models, a planetarium and a linear air trap. Crowdfunding is an online platform for raising funds by asking a large number of people to each make a small donation. It enables not only those directly involved in a project to make a contribution, but also people in the wider community to support a worthwhile cause. For donors there are rewards on offer for their generosity including a public thank you on Facebook, your name entered onto a fabulous display of donors that will adorn the entrance wall, the possibility of having a plaque with your name on a microscope, the opportunity to attend the grand opening in September with a celebrity guest or even the chance to have a classroom named after you . The crowdfunding campaign launches on Tuesday 22nd May and the team hopes to have raised the £25,000 by 22nd July 2018. If you are interested in finding out more please email the PTA team at opta @ oathall.org, visit the Oathall Community College PTA Facebook page or visit the crowdfunding page at www.crowdfunder.co.uk/oathall-pta which went live on Tuesday 22nd May. How well do you know the village of Lindfield? 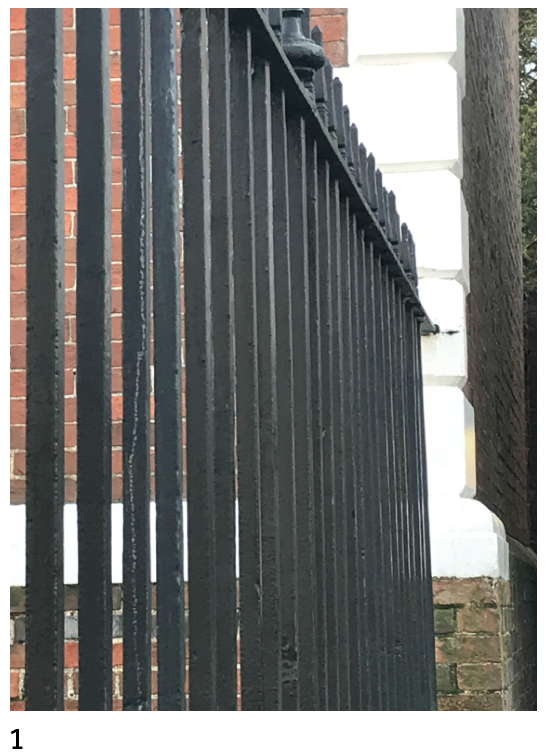 Try taking this quiz to identify the following close-up photos taken around the High Street in March 2018. 5 - The sun casting a shadow on the sign of Viking Cottage, High Street. In January, a beautiful new bench was installed at the top of Lindfield Common. The bench commemorates the life of Chris Paice, a Lindfield resident who sadly lost his life to cancer a year ago aged just 43. Chris’s enthusiasm for life and love for Lindfield makes the bench a fitting tribute, providing a place for his family and many friends to reflect and remember him. What’s happening at All Saints Church, Lindfield? 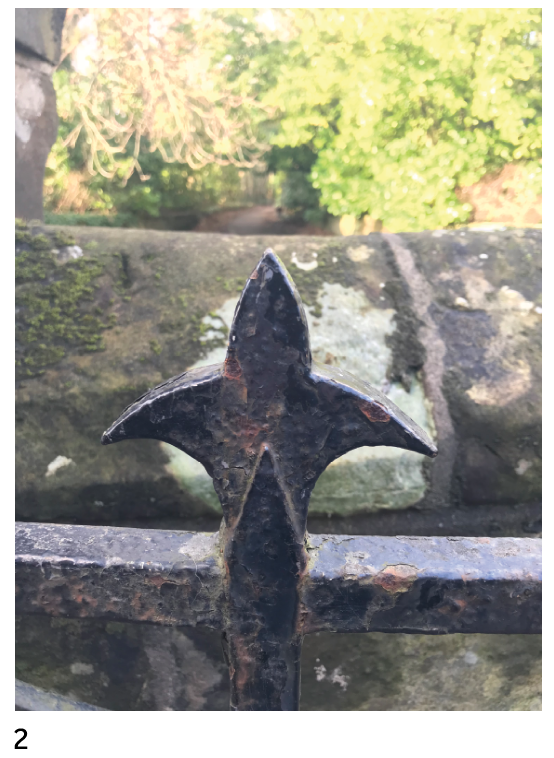 Shortly after Easter 2018, contractors will move in to All Saints to begin the final phase of building works to redevelop the parish church building to provide a warm, welcoming and more flexible space to meet the needs of current and future generations. 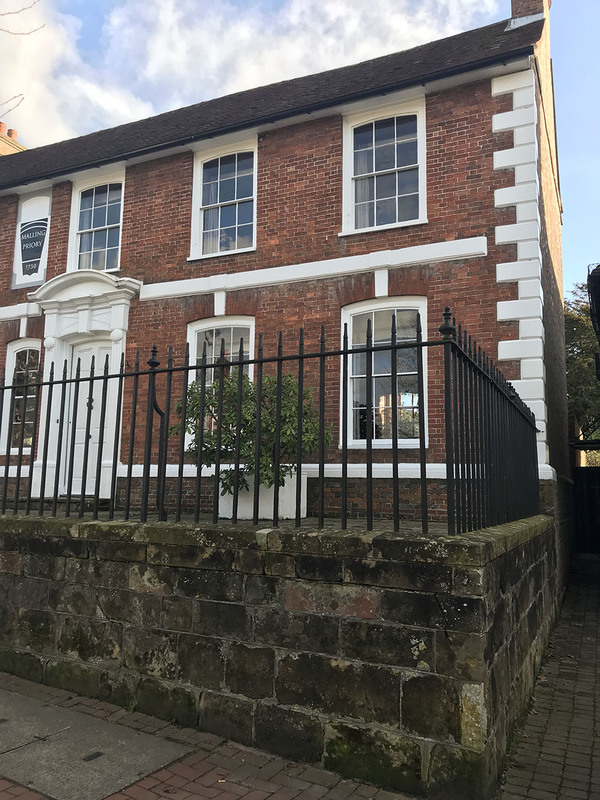 While the church is closed the congregation will be temporarily relocating their Sunday services to Lindfield Primary Academy, close to the Common. Services will take place morning and evening in the Sports Hall and everyone is very welcome. Children’s groups and youth ministry will also be on-site, and ample parking is available in the Academy grounds. The 8am Holy Communion services on the first, third and fifth Sundays will be held in the Tiger Lounge (next to All Saints). Full details are available on the church website. The project (known as ASPIRE) has already seen the spire, roof and windows repaired, the vestries redeveloped to include an accessible toilet and the replacement of pews with modern seating. 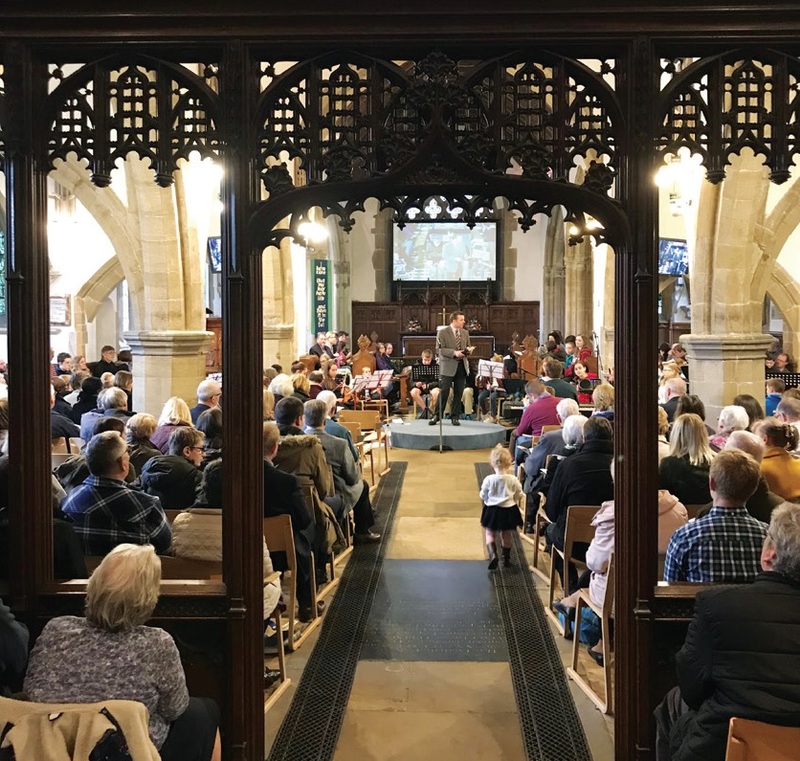 The more accessible interior has enabled the church to host a number of community events, including gospel singing workshops and The Christmas Experience for schools. The next phase requires the temporary closure of the church building. Work will include the replacement of the floor with new stone tiling and underfloor heating, improvements to the south porch and west entrance, upgrading the audio visual and lighting facilities and redecoration. Alongside the building works, it is planned to renew the bells and refurbish the church clock. It is anticipated that the church will be closed until January 2019. During the week, the Tiger building will continue to host its regular weekly activities and the church office will be open as usual throughout the building works. 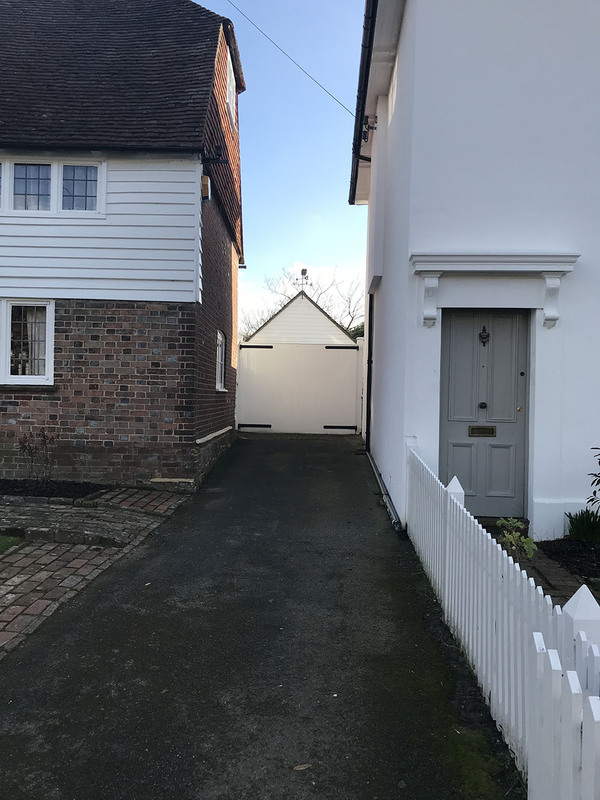 Once the work is complete, the church will be in great shape to continue worshipping God and welcoming the community of Lindfield for many years to come. Watch this space for updates! Katie Derham, Nick Broomfield, Leesa Le May and Robin Belfield will decide which local resident will be the beneficiary of the Festival’s new £1,000 bursary. They will be looking for the applicant who demonstrates a desire to start or continue an arts discipline. The line up was announced at an event last month. The bursary is open to anyone aged 7-100 and living in the village and surrounding locality. In other news, the Festival has announced more highlights of its September programme. 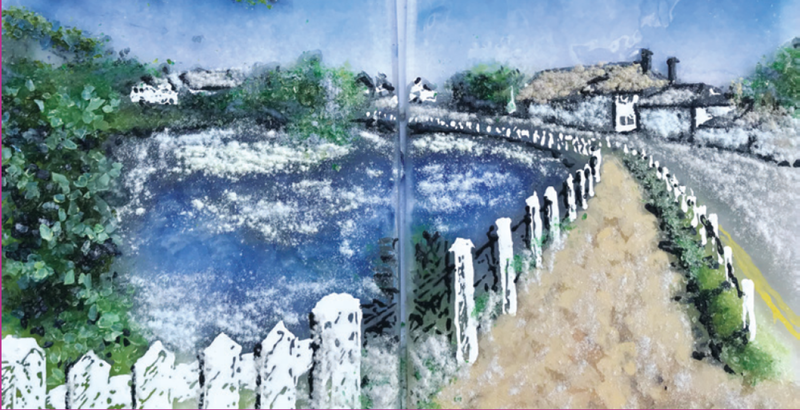 Sitting alongside its community orchard, arts and crafts activity, and performance, will be a major cake exhibition, a film celebrating the creativity of the village and a local food festival. For more information on these and on how to apply for the bursary visit www.lindfieldartsfestival.com or email enquiries at lindfieldartsfestival.com. 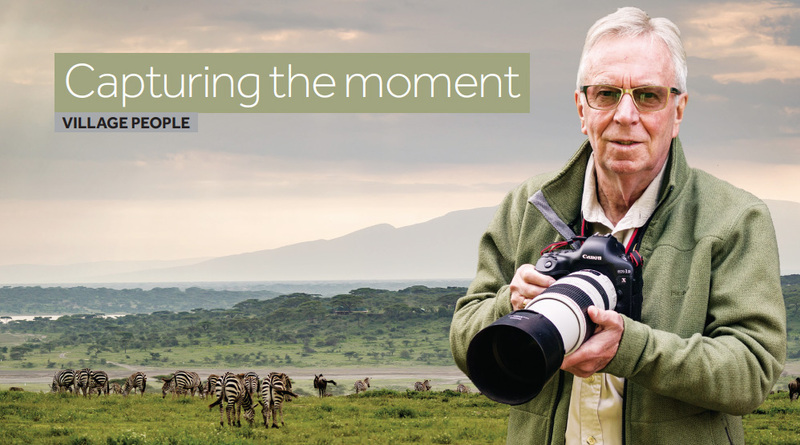 This month the Kipper team went to see Lindfield Life magazine being printed at Gemini Print in Shoreham.